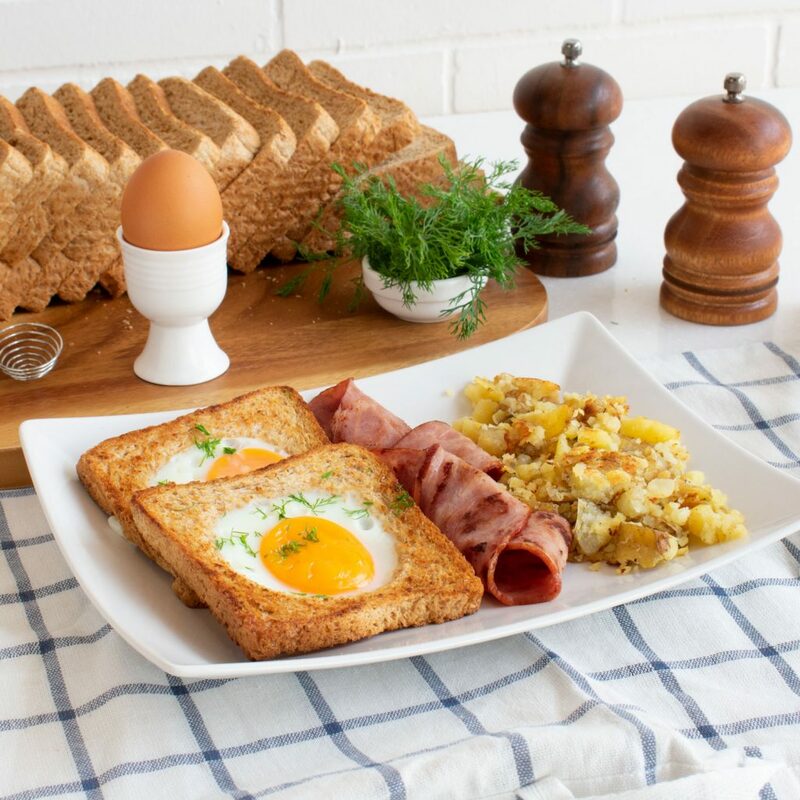 Toasted whole-wheat bread with seasoned eggs served with turkey bacon and a side of mashed roasted potatoes. 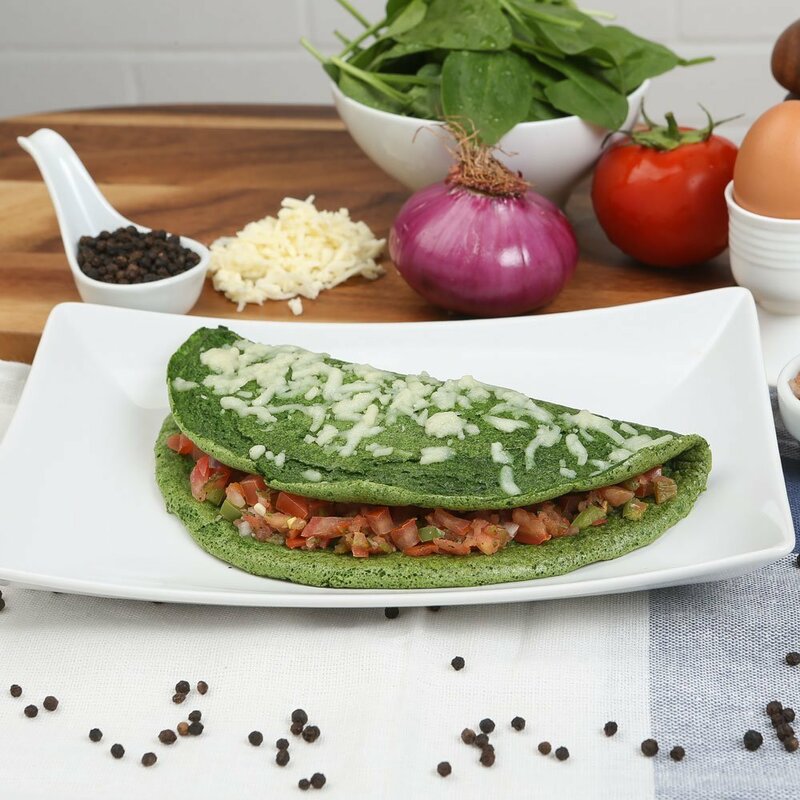 A refreshing mixture of egg whites, spinach and cheese stuffed in an omelet with our special homemade salsa. 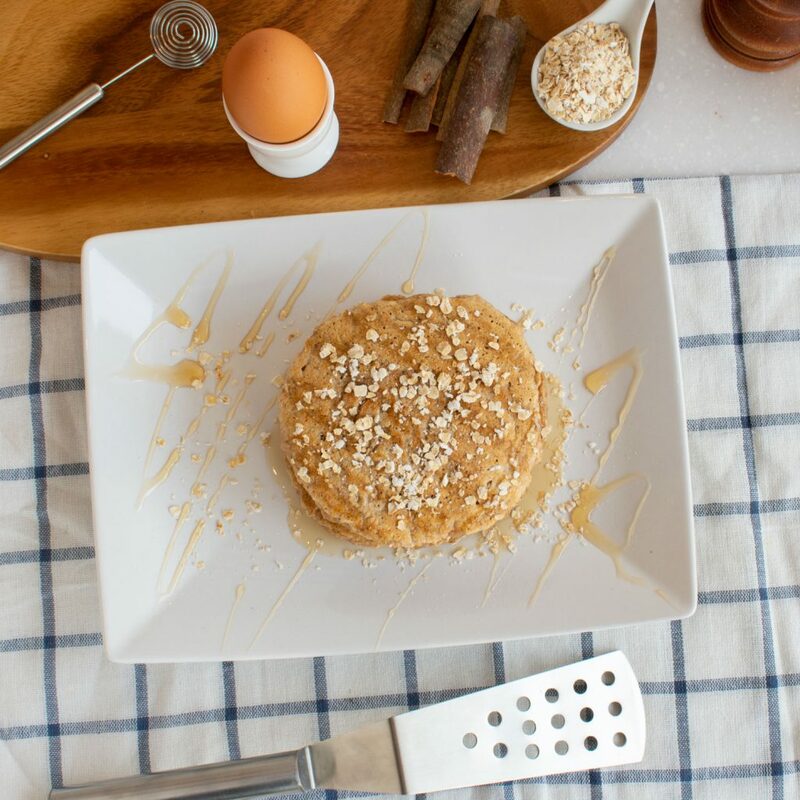 Served with one side order of your choice. 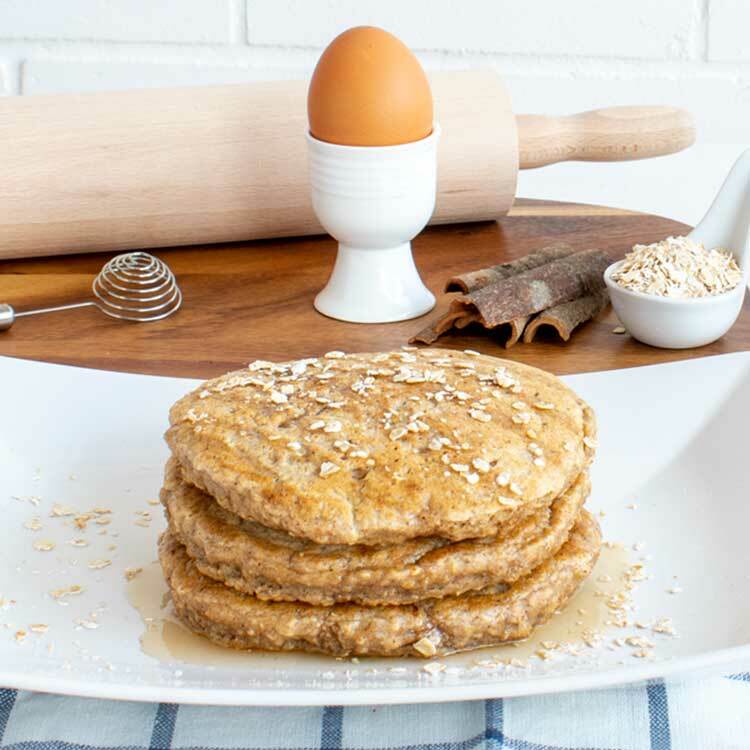 A delicious stack of three homemade pancakes topped with oats and honey. 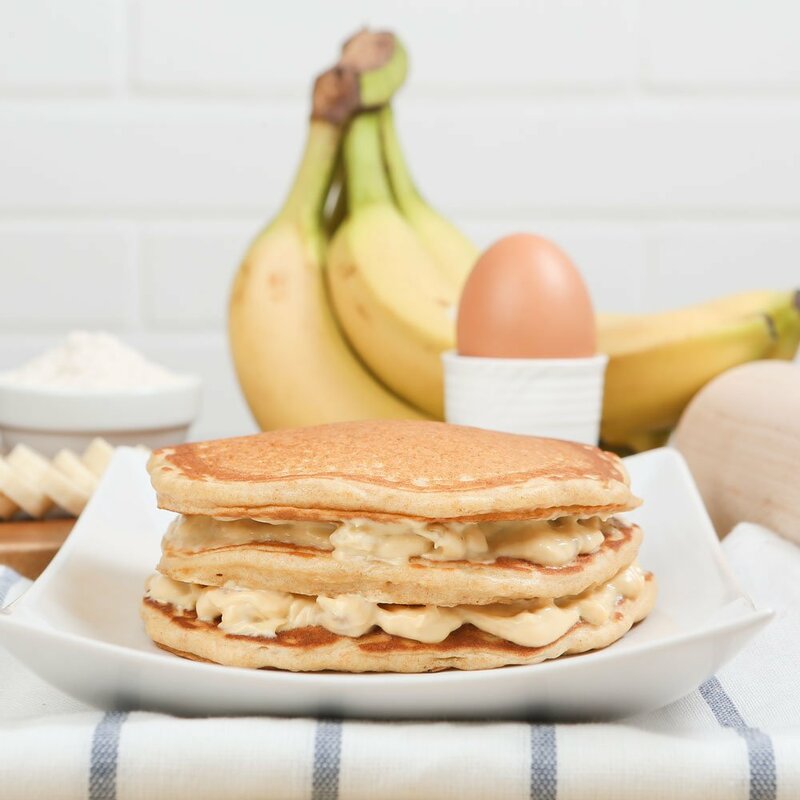 Our delicious banana syrup in between three homemade protein pancakes. 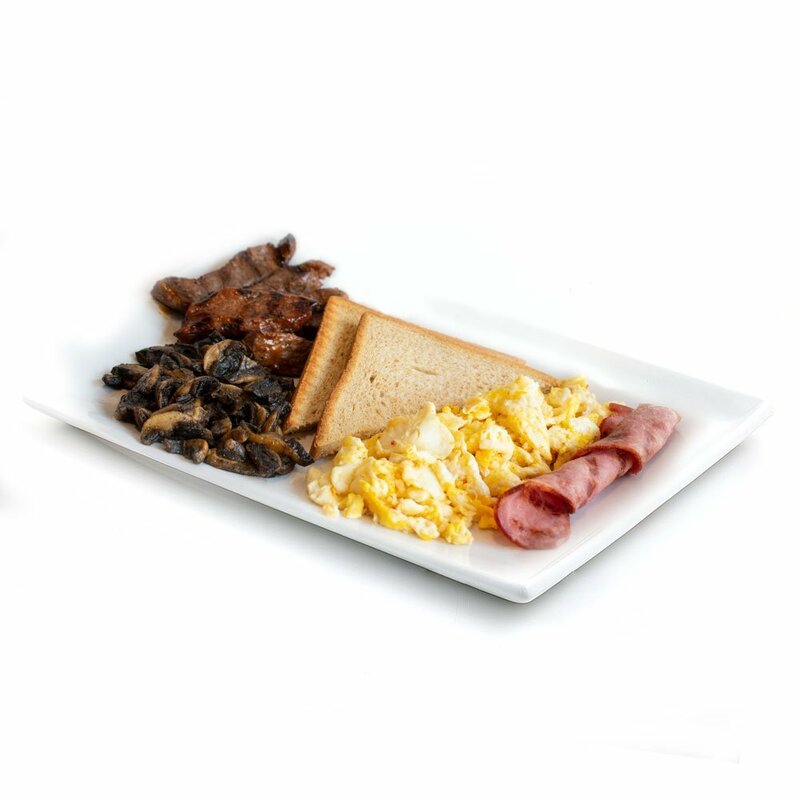 Our juicy steak with a slice of turkey bacon, eggs and mushrooms served with whole-wheat toast. 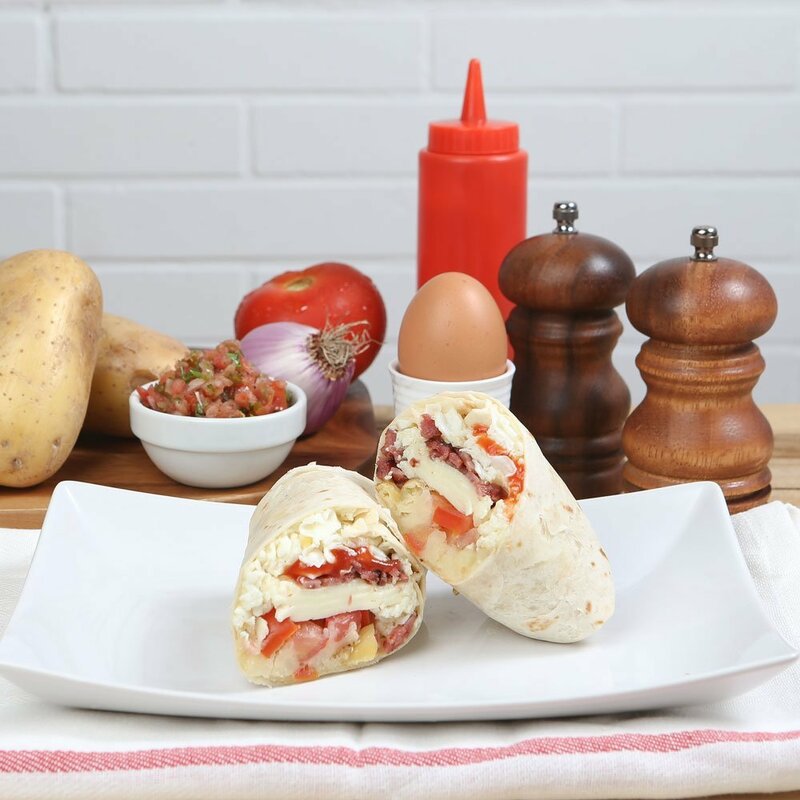 A delicious mix of roasted potatoes, ketchup, homemade salsa, cheese, turkey bacon and eggs in a wrap.